The capital’s gymnasium school No. 22 has launched Free from School, a project allowing student-athletes and children who need an accelerated or delayed educational programme to study remotely. Its official name is Creating a Distance Learning Form on the Moodle Platform. “We presented the project at the scientific council in the education department of Astana, which was held in August. Already in September, we received an order that the project could start in the gymnasium school No. 22 – and now we are engaged in the implementation of this project,” said organiser Vera Sadykova. The project, in development for three years, has a phased approach. The creators studied international experiences and clearly understand it should be implemented systematically. “Now the first stage of the project is underway, when we create a community of parents who are interested in this form of teaching children and begin to form student groups. Children in grades one-four will begin to study remotely, starting from the second quarter of 2018, and fifth graders will start in November,” she noted. “We have already started to work with first-fourth grade students and in November-December we will start to work with fifth grade and higher students. We decided that we will not bring ninth-11th grade students into the project this year, because they are already preparing for exams. We will not offer them this opportunity now, although we have a lot of applications from parents and children of this age,” she added. Parents must complete an agreement with the gymnasium and Centre for System Technologies, the technical organiser of the project. Each child has a personal account on the Moodle platform and once created, the student has access to what he or she should learn. “We are currently working on lists. The first thing that parents need to do is to go to the website of our project and register there. 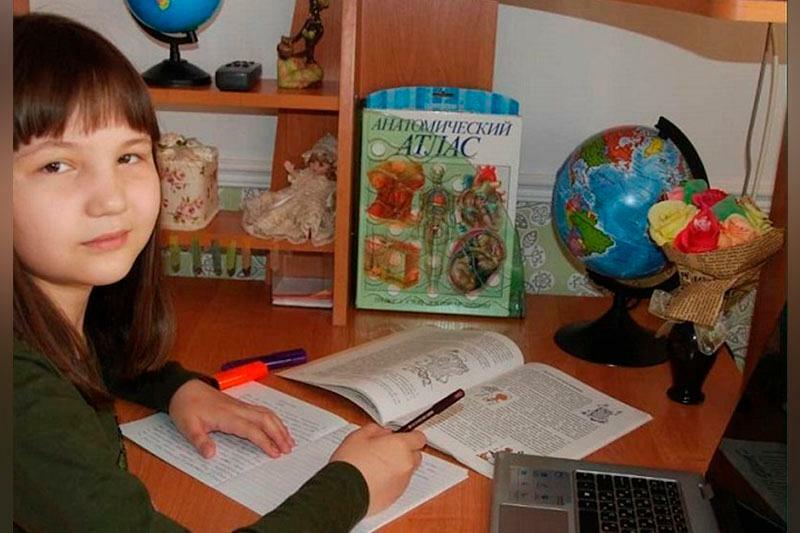 After the registration, the manager is contacted by the parent and the parents send the data of their child, which is included in the list,” said Sadykova. She is a strong supporter of the project. “There are children who learn very quickly and there is no sense in keeping them with a standard educational programme from September-May. We delay their development when they can finish two classes in one year or go deeper into the knowledge of physics or other subjects. This is the 21th century! All technologies are open now and we must give the children this opportunity,” she added.